Khloe Kardashian is going to be a mom! Multiple sources have told TMZ the 33-year-old "Keeping Up With the Kardashians" star is expecting her first child with boyfriend Tristan Thompson. SEE ALSO: Did Caitlyn Jenner's rep just confirm Kylie Jenner's pregnancy? TMZ reports that the Kardashian is three months pregnant and conceived naturally. The NBA athlete and reality show star began their whirlwind romance just about a year ago to the date. 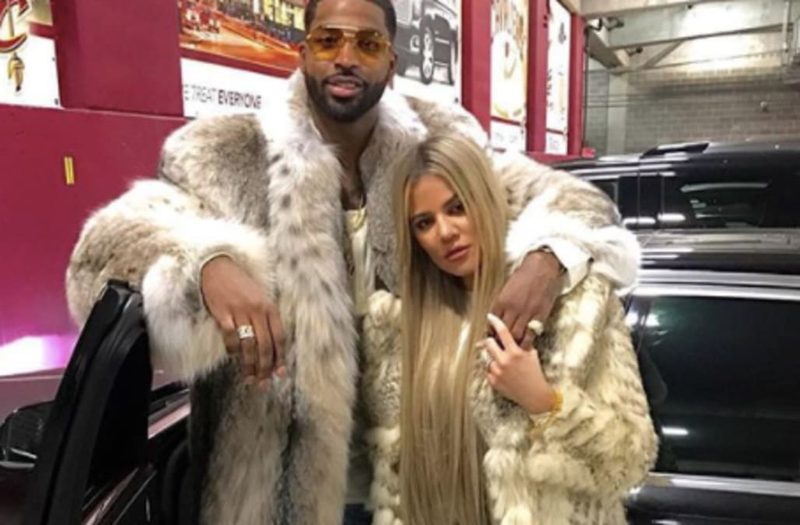 “Yes, Khloe and Tristan are expecting and they are absolutely thrilled,” an inside source revealed to People. “This isn’t something they were in a rush to announce to the whole world, and it’s only been in just the past week or so that they’ve felt comfortable telling most of their inner circle." “This is something Khloe has wanted for years and years and yet it’s more than that: she didn’t want it unless she was in the right relationship for it," the source continued. The development would come a few days after Khloe's half-sister, Kylie Jenner, 20, was revealed to be pregnant with her first child, as well. The father is reported to be boyfriend of five months, rapper Travis Scott, and she's allegedly five months along with a baby girl. She's due in February. Khloe and Kylie's older sister, Kim Kardashian, is also reportedly expecting a child -- her third, a girl, via a surrogate. She and husband Kanye West are expecting the child in January. Khloe Kardashian and Kourtney Kardashian launch the Kardashian holiday and resort collections at Bebe on December 8, 2010 in Beverly Hills, California. Khloe has been spending a lot of time with Thompson, 26, in Cleveland, because Thompson is a center for the Cleveland Cavaliers. The youngest of the original three Kardashian sisters has famously been a devoted and involved aunt to her sister's children, often baby sitting and hanging out with Kim and Kourtney's kids on social media and their E! reality show, "Keeping Up With the Kardashians." Khloe expressed her and Tristan's desire to start a family together on the most recent season of "KUWTK."